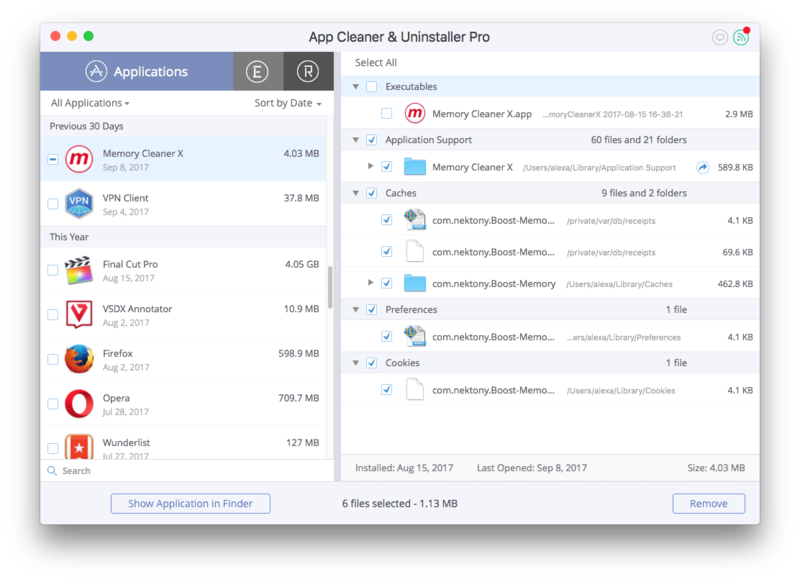 App Cleaner & Uninstaller allows you to uninstall programs on a Mac and remove all the service files. Service files are cache files, preferences, error reports, logs and all other files created by an application as support files. When you move an app to the Trash folder, the service files still remain and take up disk space. That’s why it is highly recommended to uninstall apps correctly. App Cleaner is designed to remove applications and all their service files. Select all files of the appropriate application except the Executables. You can use App Cleaner & Uninstaller to clear caches, logs, cookies, and other support files of the applications.